Have you have ever considered serving your community in an extremely important capacity? By being an active, informed, participating citizen? Or considered running for an elected office such as borough councilor? You have until Tuesday, March 8 to complete and submit the necessary documents required to be entered in the primary elections in May. More on that follows later in this article. Local government needs interested, capable public servants. We happened across this article and it is very topical for the impending borough elections. We found the following well-chosen words while researching election procedures in Pennsylvania contributed by Beverly Smith, high school teacher and administrator and small business owner; Beverly is a member of the Yahoo! Contributor Network. Who should run for borough council? “A person who has lived in the community for a while, maybe for a lifetime, and cares about the people and what goes on. “One who has time and is willing to get involved. There are many materials to read, meetings to attend, and public events to visit. If your schedule allows it and you would like to participate in many community events, then council may be for you. “A team player. Council members are one of many. They never decide issues on their own; rather, they work with others to build consensus, or at least a majority. Potential candidates must decide if they are willing to take that role. “Someone with an eye to the future. Solving current problems by ignoring what the action will mean 10 years from now is the signature of a bad elected official. “A well-intentioned person who doesn’t really care whether or not he or she is reelected usually makes a good borough council member. People who are always worried about the next election sometimes do the wrong thing on big issues. “Those who bring a special expertise. Much of borough council is about building: building and repairing roads, water and sewer lines, street lights, cell phone towers – you name it. And council members must understand the budget and be able to monitor it carefully, so financial knowledge is always welcome. “People with expertise in those areas are very helpful. But others can do a good job too; logical thinkers of any experience are needed. Who should not run for borough council? “The one issue person. A council member who has run because he or she wanted get that pothole on Main Street fixed right, once and for all! may not be the best. So the pothole gets fixed. Then what? Three more years on the borough council, wandering around, looking for something else to do. One issue people should just keep after current borough council members or borough staff until the pothole gets fixed and declare victory. “Anyone who is planning to line his or her pockets on borough contracts should obviously not run, but many do run and win. If that’s your idea, my wish for you is that you go to jail sooner rather than later. “The indecisive. Council members have to vote, out loud, sometimes in front of unhappy neighbors on many issues. If the idea of making a tough decision in public is more than you can stand, think twice about running. “And glamour seekers should look elsewhere. Running so that you can be in the annual borough parade or be on the stage at the town picnic is a pretty icky reason to take a seat from someone who could actually help. And anyone who thinks serving on borough council will be like The West Wing will be heartbroken to learn how much time is spent talking about drainage ponds. 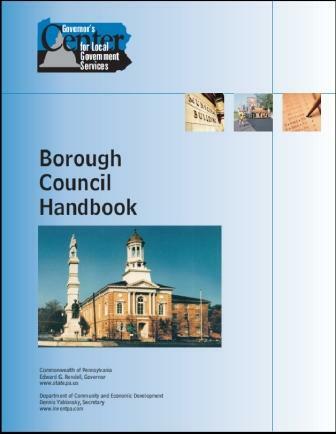 “Borough council members represent all the citizens of the borough on issues big and small. They hire the borough manager and oversee his or her work. They respond to citizen problems and find out how the borough or other governmental agencies can help. Council members initiate ideas for the betterment of the borough; some ideas are their own, some are brought to them by residents. While researching the process for getting onto the primary ballot, we had a two-plus hour conversation with the advocacy organization, VotePA, on Friday. VotePA is a state-wide alliance of groups and individuals fighting for all voting rights and election integrity in Pennsylvania. Formed in early 2005, VotePA works for fair, accurate and accessible elections for all in the Keystone State. Executive Director, MaryBeth Kuznik patiently accompanied me through the labyrinth that is the State’s TITLE 25 Pa. C.S.A. ELECTIONS codes and pointed me to the Lancaster County Board of Elections and Registration Commission in Downtown Lancaster. Following a telephone conversation with the helpful folks there, we were invited to come in to get copies of the required forms needed to run for borough council. All office seekers must procure at least 10 signature endorsements on their Petition to have name of candidate printed upon the official ballot for the primary election. The office seekers must deliver the completed and notarized form with a completed state Ethics Committee FINANCIAL INTERESTS form to the 150 North Queen Street office by close of business on Tuesday. As we understand it, that is the process to follow to get your name on the ballot for the primary election. We will review the next stems sometime after the May elections. In the meanwhile, we encourage citizens who want to make a difference to consider “throwing their hats” into the ring. Great communities elect great representatives to the political theatre; these great representatives are supported by informed, demanding and great citizens. Previous … so, is it safe to eat here? Who are crusading for? Hopefully not yourself?